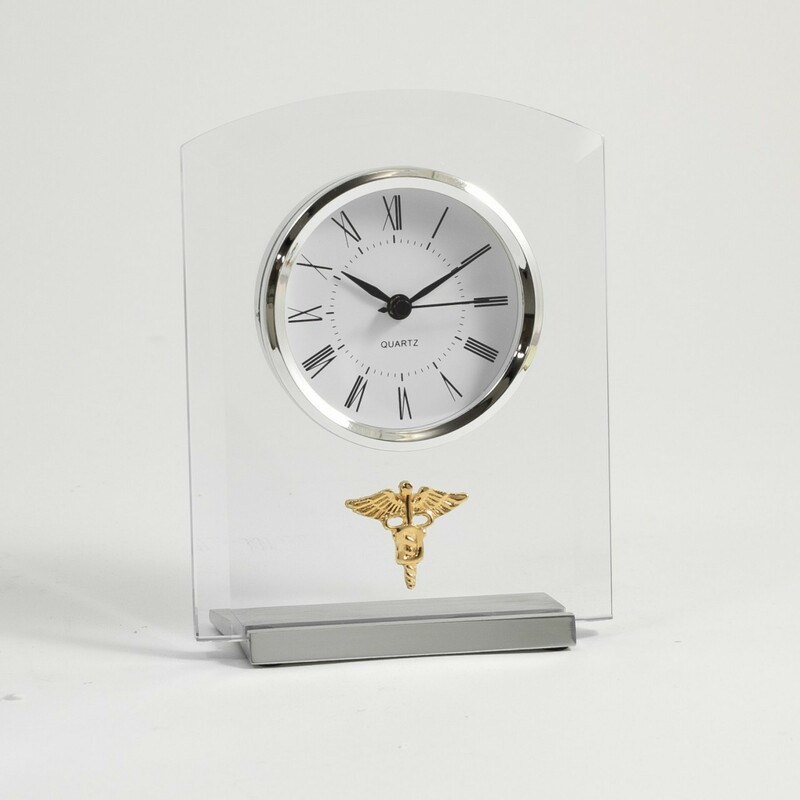 FEATURES/SPECS A great thank you gift for a dentist that gave you exceptional service, this glass and metal clock will look great in any dental office. 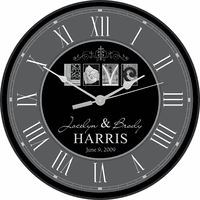 It features a quartz clock with a large white dial, black Roman numerals and black dials framed in a silver bezel. 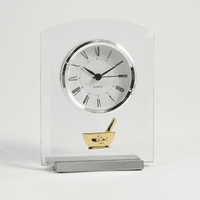 The clock is set in a glass pane that's mounted on a brushed silver base. 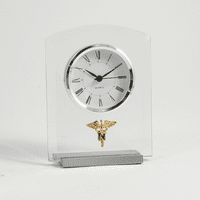 Beneath the clock, a brass dentist's symbol is mounted prominently. Also perfect as a unique birthday gift for a dentist, this desk clock will be displayed proudly on a shelf or desktop. 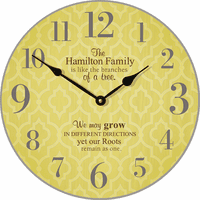 Dimensions: 7" x 5 1/2" x 2"